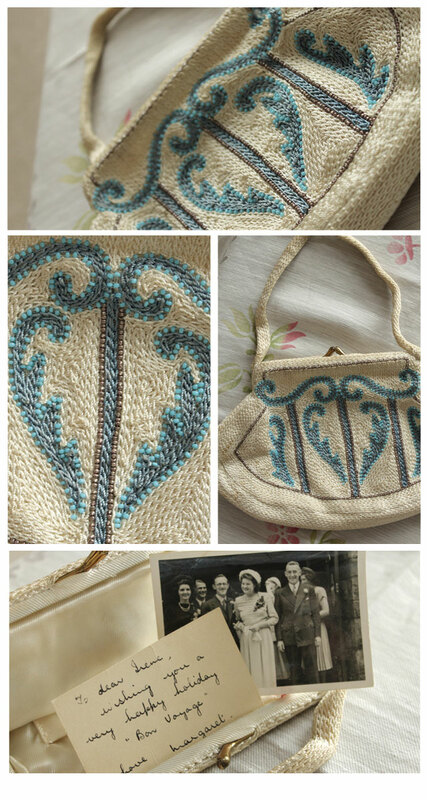 I have been saving this bag for over 10 years, it has huge sentimental value as it was my Gran's. She was given this as a gift just after she was married and before she moved to South Africa. I have kept it safely tucked away for a special occasion and I figured there was no better than my wedding day. I whole heartily wish my Gran could have been here to join in the celebrations with my Mum, Auntie Sisters and Cousins, so I hope in some tiny way having this with me will feel like she has joined in too. This little card has been tucked inside since the 1940's, it's written by my Great Aunt who is always first on the dance floor and no doubt will have been on Saturday. 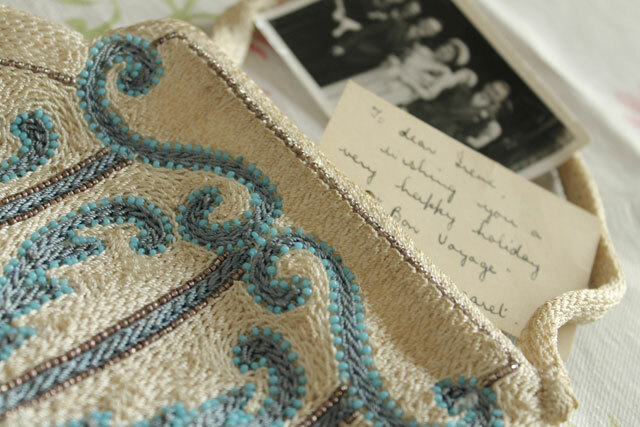 This is such a sweet post, I love the bag and the little notecard inside is lovely! This is so pretty, I love the blue beading.